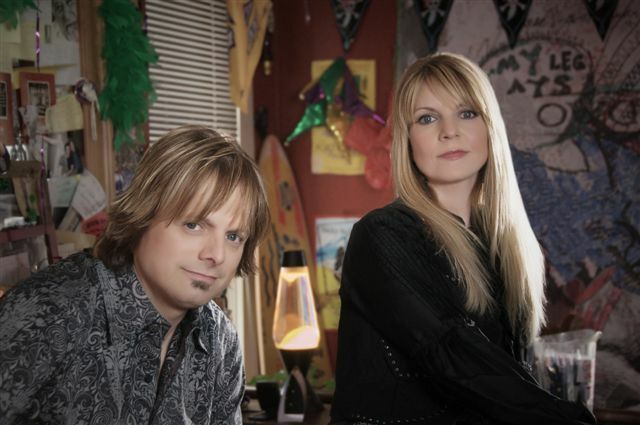 Nashville, TN (September 17, 2010) -- Brother/sister duo THE ROYS are set to perform at the Trigg County Country Ham Festival (http://hamfestival.com) in scenic Cadiz, Kentucky on Saturday, October 9. THE ROYS join an entertainment lineup that includes Buddy Jewel and Blaine Larsen; the music starts at 5:30 p.m. CDT, and admission is free. WKDZ “Real Country 106.5" is sponsoring the three-day festival downtown (October 8-10) on the REAL COUNTRY Stage. The show will be simulcast and streamed at www.wkdzradio.com. Known for their superb writing, super-tight harmonies and bright-sounding, bluegrass-influenced country, THE ROYS are currently climbing up the national Music Row chart with their latest single, "Beautiful," sitting at the #32 spot this week. The duo recently performed at Jerry Lewis’ annual Labor Day Muscular Dystrophy Association telethon and in August, they traveled to Bogota, Columbia, South America with WKDZ Radio personality Bill Booth and fellow entertainer Blaine Larsen as part of an outreach mission sponsored by Compassion International. "We'll be on the air with Bill on Saturday, discussing the incredible work that this organization is doing," says Lee Roy. "We'll also explain how fans can sponsor a child in that impoverished nation." The charity is dear to their hearts, but this brother/sister team continues to write, record and tour. THE ROYS have enjoyed some high profile gigs - singing the National Anthem for the Red Sox at Fenway Park, for President Bush at Andrews Air Force Base and to rev up the crowd at the Kansas Speedway during the NASCAR Truck Series. Now, they're ready to take on Cadiz, and learn a little bit about the craft of curing country ham. "We may be from Massachusetts originally," says Elaine. "But we quickly embraced the wonders of good ol' Southern cooking." The South - and country music fans the world over have embraced THE ROYS. Lee and Elaine are the reigning ICM Duo of the Year, and have been nominated again this year for that honor. Additionally, “Beautiful,” from their upcoming CD, is nominated for 2010 Christian Country Song of the Year. Learn more about this inspiring duo at www.theroysonline.com. For interviews and press materials, email somuchmoore@charter.net or call Martha at 615-746-3994.
so much MOORE media - Established in 1988!